What a wild weekend for energy! There’s the Snow Full moon, Lunar Eclipse and the New Year Comet all happening! Here’s an article from Sun Gazing explaining the energy and these three breathtaking events. The Full Moon is also a time for release. Release what is holding you back from all that you want to accomplish. All that you want to be. Today I released all of your Reiki Distant Healing intentions that had sent to me since my last Reiki Share in November. I released them to the Universe so that they (or their loved one) can be free to accomplish what they want for this next quarter. Reiki allows us not only to heal from the physical, but it allows emotional and mental healing. It releases the stress caused by our physical ailments. The American Institute of Stress estimates that 75%-95% of all visits to doctors are the results of reaction to stress. The effects of unreleased stress range from minor aches to major health concerns, such as heart disease, digestive disorders, respiratory and skin problems. Stress weakens our immune systems and elevates fear. The American Psychological Association claims that being subjected to high levels of stress continually can have negative effects on a person’s health, relationships, and cognitive and psychological functioning. Tuesday is also Valentine’s day. A day of Love. But for some, it can bring on an depression, grief and the sorrow of lost love. It can be a day of loneliness instead of happiness. Reiki can reverse the effects of stress, illness, and lost love. Reiki can make us feel calm. It can make us feel peaceful. It can de-stress. It can bring us love. 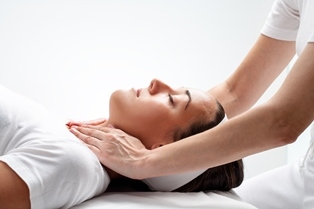 Reiki restores the normal condition of your body by using the universal energy to relax maximally. Relaxation improves the secretion of dopamine in your brain and make you to feel better. Reiki will reduce your stress and bring you peace. Wouldn’t you love to feel this? You can! And at a Reiki Share we get together and share Reiki! The primary purpose of having a share is for practitioners to participate in giving and receiving Reiki within an atmosphere of friendship and love. But you don’t have to be a Practitioner to enjoy the benefits of Reiki. Reiki practitioners are welcome along with those who have either received a Reiki treatment before, are just curious as to how Reiki works, or just want to feel the peaceful, loving feeling that Reiki provides. Live too far away to travel to Oil City, PA or just can’t make it? Send me your Reiki healing requests or look into my other healing options. I will also continue to send Distant Reiki energy to your intentions until the Full Moon prior to the next quarterly share in May. At that time it will be released to the Universe. Enjoy each day with Reiki.